When training for mountain biking you can’t just start riding around a lot and think this is training. There are certain things that you must do if you want to improve your riding performance and fitness. 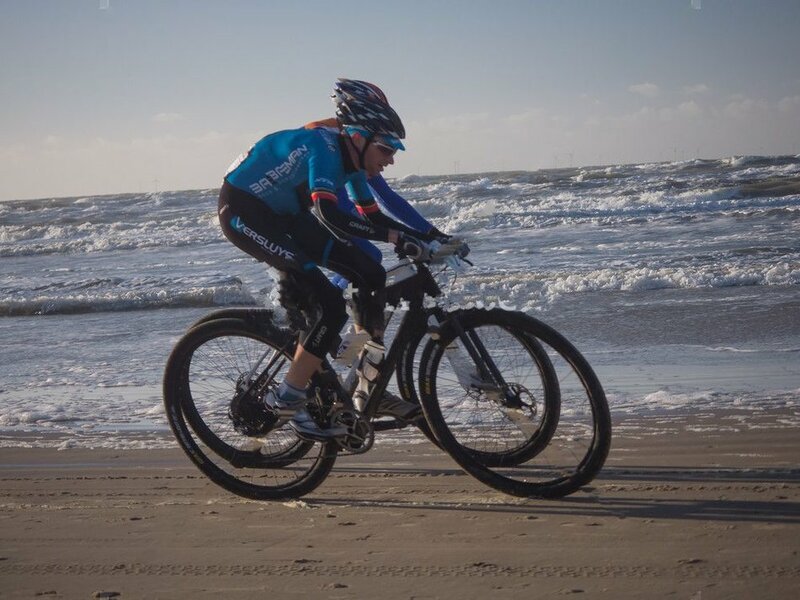 I have put together these mountain bike training tips after much research of pro riders which you should keep in mind when training. They are very important if you want to make real progress. Warming up before your mountain bike workout has many advantages. You will have a larger amount of fatty acids flowing in your muscles to be used as fuel. The muscles you will be using will increase in temperature preventing injury. Every time the bodies temperature goes up by 1 degree Celsius, the bodies ability to create energy goes up 13 percent. A good warm up is to climb a hill 3 to 5 times for 20 to 30 minutes, each with a 1.5 to 2 minute recovery time. For the first two climbs stay on your seat and stand for the remaining climbs. Put more effort into each climb. Many bikers think that you can increase your speed by training while being tired. They believe that beginning their workout with very tired legs will improve their power. This is just not true. There have been over 1000 studies done regarding fatigue and athletic performance. None of them have concluded that a rider gets better if they get tired more often from training. Lots of athletes think more is better, and so do bikers. Just because you are very tired does not mean you had a great training day. It is more beneficial to do the most effective training at the right time. At times it is right to do higher volume training, but the highest you can do is not needed. Other times high volume is not right, but faster more speed training is correct. Too many riders just focus on volume and getting tired. So how do you know you are making progress? Keep track of how fast you go. It is important to train consistently but also moderately. You should train within your limits and challenge yourself sometimes. Most of your workouts when complete should feel as if you could of done more. This will help you to avoid plateaus and you will continue to make progress. One example is if you have climbed 4 hills and in order to do a 5th you will need to really push yourself, then stop at 4. Sleep has many advantages for bikers. Human growth hormone is increased every so often during sleep. If you do not get enough sleep your recovery will take longer and you won’t be able to train as consistently. The risk of over training is increased if this continues. A normal everyday person should have at least 7 hours of sleep a night. A serious training mountain biker will need more. You will need more sleep the more intensely and frequently you train. Some professional riders sleep for 10 hours or more per night. How often should you train? This depends on your current fitness level. If you are an intermediate rider then 5 or 6 times a week is common. If you are a more advanced mountain biker then believe it or not you can do 2 workouts a day. Roughly 6 to 12 workouts a week. But don’t do this all year round. Intermediate riders should not train like advanced riders in order to try and improve faster. This will cause over training and decrease your fitness. How long you train depends on your current fitness level and your goals. If you want to increase your aerobic endurance then train longer. If you want to improve intensity then train for a shorter time with more effort. Advanced riders will train for longer periods of time compared to intermediate or beginner riders. Depending on the race you are training for your workouts should be as long as the race you are going to compete in or longer. You can even train twice as long as the race you will enter. A good way to know how intense you should train is to track it. Using a scale from 1 to 10 with 1 being very easy, give an average exertion level after each workout. If you trained for 2 hours and you give your average effort level a 6, then multiply that by 120 minutes and you get 720. Do this for a couple of weeks and you will see how the intensity you feel changes. Getting the intensity right is important because it is what enables you to move up to the next level. Generally intermediate riders should focus on volume, and more advanced riders intensity. But no matter what level you are try and train at an intensity level of 7 or 8. Eventually that level will become easier and then you can move up step by step. If you want to increase your mountain biking fitness then you will need to push yourself past previous levels. You must slowly and steadily overload your body, then give your body rest so that it will then adapt to the previous load and become stronger. To get better at mountain biking then you must ride your bike. 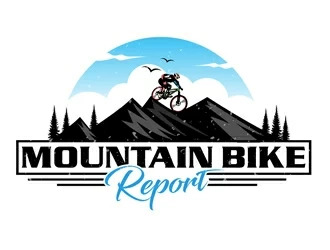 In order to increase your fitness and power for mountain biking you must improve the muscle movement pattern for riding a mountain bike. Other ways of training like running, jumping rope, swimming, or doing aerobics will only train the heart, lungs, and blood. The muscles, nerves, and energy systems that need to be trained can only be trained by riding your bike. If you want to do some cross training, that is fine, but the benefit to you is limited. Training by yourself is the best way to focus on and improve your weaknesses. At the same time it is also the best way to maintain your strengths and make them better. If you want to change things up then training in a group is okay sometimes. Just be sure to train with riders who are at your level or slightly better. If they are much better than you then you may not be able to keep up and you might get hurt. Also you might lose confidence. Beginners in mountain biking will get better faster by riding more frequently for a longer period of time. As a beginner becomes an intermediate then how much you ride has less benefit on performance. Intensity of the training becomes more important. If you want to predict how well you will do in a race then you should look at your average workout velocity. This is much better than going by the average training miles per week. Keep in mind mountain biking is not a slow, long race. It is fast and very intense. To improve and achieve your highest fitness level you must increase your VO2 max, lactate threshold, and fuel efficiency. To boost VO2 max you must train at 90 to 100 percent of VO2 max or 93 to 100% of maximum heart rate. To increase lactate threshold workouts must be at 87 to 93 percent of VO2 max or 90 tp 93 percent of maximum heart rate. Fuel efficiency can be increased with short, high speed repetitions. As you are riding intensely lactate builds up in the blood. Riders who can clear away the lactate from their blood faster will be able to maintain a higher average speed during a long race. You should train near or above your lactate threshold which will help to improve your ability to clear away lactate. You should always train within a heart rate range. Your heart rate is a pretty good way to measure the effort of your workout. Mountain biking is intense, so you must train intensely. High intensity means you must increase your heart rate. Measuring your workout intensity using your heart rate is not 100% perfect as other conditions can influence your heart rate such as nerves, temperature, environmental conditions. But it is a good guideline to follow. To find your lactate threshold heart rate ride for 30 minutes at race effort on a flat road. Activate your heart rate monitor after 10 minutes of riding so you have 20 minutes of information. Your estimated lactate threshold heart rate is your average heart rate for the 20 minutes of riding. Train at this heart rate or above in order to improve your lactate threshold. Studies have shown that increased power transfers to increased performance. If you increase the size of the gear and your cadence remains the same then power rises. Practice training using different gears and try to keep your cadence high. Use Tune Corporation’s Power-Tap to keep track of and measure your power. To increase your power do intervals, hill training, sprints, and leg press in the gym. You need to be able to use your full strength quickly. You will need this for short hills, fast starts, and sprinting to the finish line. Only train for power at the beginning of your workout. This is when you have the most energy. Trying to increase power when you are tired is of no benefit. You can find out the answers to these questions by comparing yourself to the other riders. Use the results just as a guide because the other riders may be at a higher or lower level than you. So this will not be highly accurate. In order to help you focus your training so you get the most out of it you should know your strengths and weaknesses. You should compare yourself to other riders in your race category. Analyze your past race performances in terms of: race endurance, fast starts, short climbs, long climbs, fast singletrack going downhill, muddy trails, going over roots and rocks, and clearing obstacles. Now rate yourself on a scale from 1 to 5 for each ability. One being among the worst, three is the same as most riders, and five is among the best riders. If you rated yourself in section 1, 2, or 3 then you know those are areas which are holding you back. You can help yourself the most by working on and training your weakest areas. When mountain biking you need to move efficiently and fast. You should be able to pedal easily at a high cadence especially through technical terrain without wasted effort. This type of speed skill does not mean how fast your velocity is. You need to train and ride through technical trails. By doing this you will be training the timing of contraction and relaxation of your muscles. This is very important for speed skill improvement. When going through technical trails you will notice that you need to contract and relax your leg muscles while pedaling in order to go through the technical sections of the trail. Same thing with your upper body as you flex and relax your handlebar grip. This is not in terms of braking, but in terms of the type of terrain you encounter. The timing and speed of your muscles contracting and relaxing is what you are training. Having a yearly training plan will help to put you on the road to success. You will need to decide on your seasonal goals. Then within that season you need to figure out your season training objectives. After that set your annual hours of training. Continue on to listing and prioritizing the races you will enter during the year. Next divide your training year into periods. Finally decide how many hours you will train weekly. Having clear goals worked out will help you to succeed. At this time you should think big. Thinking big is great, but be sure to be realistic. You should be able to achieve your objective within one season. Make sure you can measure your goal. Have a specific date for when you want to achieve your goal. Try to use a number to define your goal such as on March 1st I want to complete the North Fork Trail in 70 minutes. Maybe in the past you completed this trail in 80 minutes. You should be in control of your goal. Don’t set a goal based on what other riders might or might not do. You may want to win a particular race, but you have no control over who races and what kind of shape they are in. It is better to compete against yourself. You have control of your training and your motivation only. On the other hand if you know who the other racers are you can keep track of their progress. The you can target their performance number as the thing to beat. Your goal should challenge you, but it should not be out of reach. At the same time it should not be too easy. Think and express your goals in the positive. Focus on what you want to happen and not on what you do not want to happen or avoid. If someone says don’t crash when going around a certain corner, what do you think will be on your mind. You will imagine crashing when going around that corner. Instead tell yourself what you want to do. Maybe it is to release your brakes before the corner, then ride the inner line and look ahead and go through the exit of the corner quickly. finish in the top 10 in the Colorado Championships. Now you will choose your season training objectives based on your seasonal goals. Your seasonal training objectives will help you to achieve your seasonal goals. Earlier you rated yourself as a rider/racer in order to determine what your strengths and weaknesses were. Let’s say your season goal is to finish trail ABC for example in 90 minutes. This trail has 5 short climbs. If you have determined that short climbs are your weakness. Then short climbs has now become your season training objective. Let’s say another season goal of yours is to finish in the top 10 of the Colorado Finals. This trail is a fast singletrack downhill. If you determined earlier that you gave this a rating of 3 or less then this becomes a season training objective. go up 5 short climbs in 3 minutes by July 22.
go down the Colorado singletrack in 5 minutes by August 2nd. Knowing how many hours of annual training you are going to do is important. You will be over training if you do too much. If you do too little then you will not make any improvements. All types of training should be included which you will do for mountain biking. This consists of riding, racing, weight lifting, and cross training. To figure this out add up all the hours you have trained during the last 12 months. If you are in the first 3 years of mountain biking then you should be able to plan a little increase in volume of training. Such as 10 to 15 percent is practical. If you did not keep track of how much you have trained then you will have to make your best guess. Estimate how many hours you trained last week and then times that by 52 weeks. During the year on the weekend is when you will race. Races are normally on Saturday and Sunday. You should rate the races you will enter in importance. Make 3 groups one, two, and three. Choose 2 or 3 races which are most important to you and put them in group 1. How important they are is completely up to you. Spread these races out during the year so you will have time to train for them. Then you can arrange your training so you will be at peak performance for each group-1 race. The group-1 races are your season goals, and they are your season training objectives. Group-2 races are not as important, choose up to 10 of these races. You will not build up to peak fitness for them. But you will rest for a few days before the race. All other races you choose are group-3 races. These are done for fun, experience, as a difficult workout, and to prepare for a group-1 race. You will continue to train through these races with no build up or rest before the race. They are essentially part of your training. Every time before you workout you should know what it is that you want to get out of this workout. If you do not know this then you are wasting your time. You will not progress or improve. The reason for your workout is related to your season goals, training objectives, and your strengths and weaknesses. Each workout should increase or maintain a strength or improve a weakness. If you want peak fitness at the right time for an important race then workouts with a specific purpose are required. If you have a particular weakness when mountain biking then weight training will be especially helpful. If power and hill climbing is a weakness for you then lifting weights during winter is a great idea. Weight training will help your bike handling skills. Your pedal power will increase. Your lower back will get stronger allowing you to maintain the attack position longer. When your muscles are stronger and flexible they won’t be as easily injured as compared to weak and stiff muscles. Your technical trail skills will get better as your upper body becomes stronger. Do compound exercises like squats, deadlift, bench press, lat pulldowns, and seated rows. If you have a specific weakness you need to work on then do isolation exercises like leg extensions, hamstring curls, shoulder press, and calf raises. To avoid over training, plateaus, and continue to make progress then you must have rest and recovery weeks. During every 4th week you can reduce the total number of training hours. You can also reduce the intensity, and the distance that you ride. These recovery weeks will also prevent illness and injury. Riding inside is a very efficient way of training. It is great during the winter and when it is too much of a hassle to go to the mountain bike trail. Training indoors allows you to have a very customized compared to the different terrain found outside. It is a good idea to not ride inside anymore than 3 days in a row. Also try not to train inside for more than 90 minutes at a time. Most mountain bikers can’t tolerate this and prefer to be outside. There are 4 types of trainers that you can use to ride inside. Wind trainers, magnetic trainers, rollers, and the CompuTrainer. Wind trainers have little fans that create the resistance. The resistance goes up exponentially as the speed increases linearly which is the same as it does on the road. They are not very expensive but they are loud. Magnetic trainers resistance increases linearly along with a linear rise in speed. This type of trainer will not have such a realistic feel as compared with the wind trainer. Magnetic trainers though are very quiet. The third type is a roller. These are good if you want to have a more flowy pedal stroke. But your overall ability to improve other fitness performance is limited compared with wind and magnetic trainers. Finally the CompuTrainer is a high-end indoor trainer. It is much more fun to train with because the training is interactive. You can also perform self-tests, calculate lactate threshold heart rates, and do power training. If you can afford it, it is worth it and fun.